D Type mounting XLR coupler. 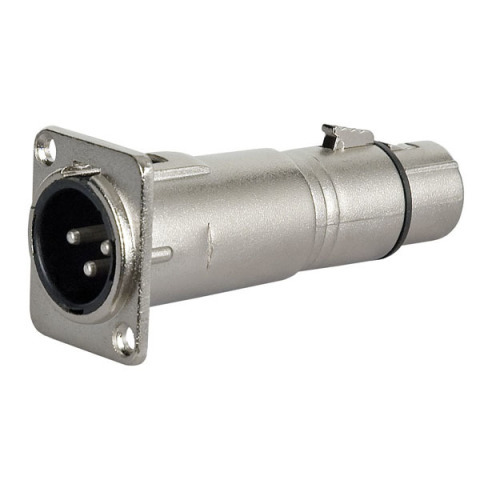 3 Pin XLR Bulkhead Plug (External) - Socket (Internal. 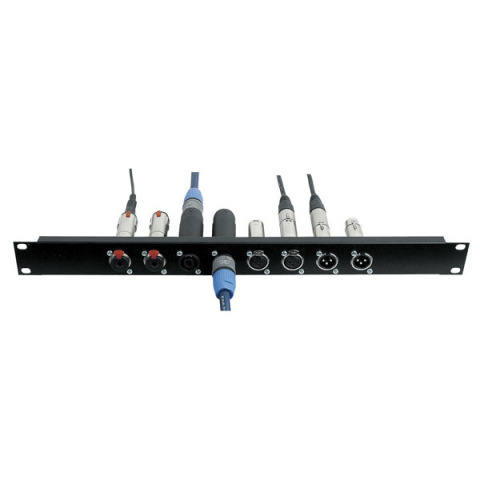 Ideal for use with our range of pre-drilled rack panels. 'D' Type XLR fitting Chassis Plug and Socket. Can be fitted from the front or rear of panel. For suitable fixing use Neutrik MFD M3 rear mounting plate 406-885.